How is your leadership journey going? In our ever changing world being an effective leader is a daily challenge. 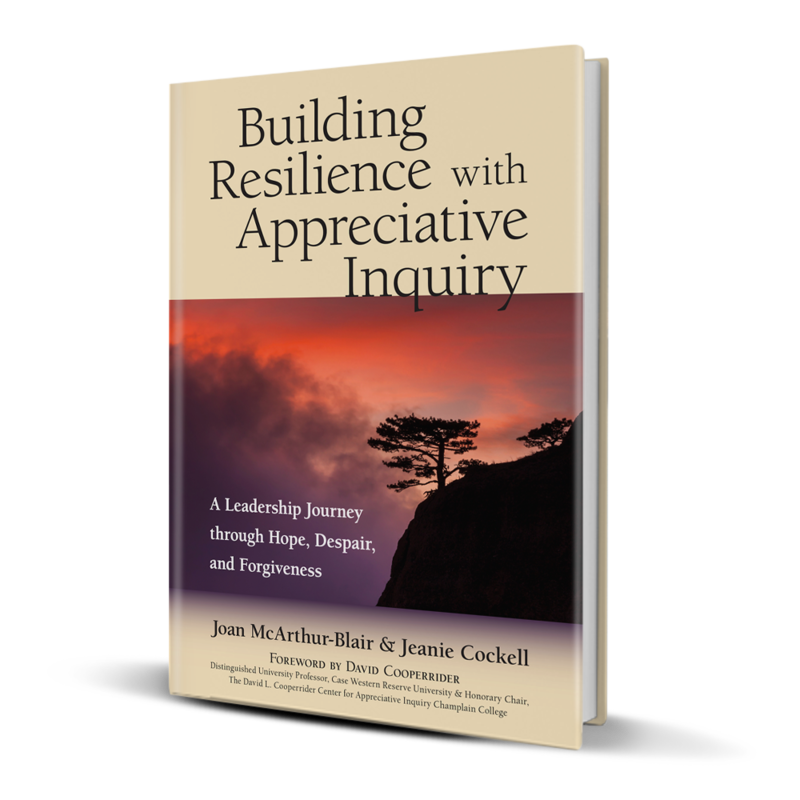 Building Resilience with Appreciative Inquiry by Dr. Jeanie Cockwell and Dr. Joan McArthur-Blair is a new book that speaks to leadership journeys with hope, during despair, and with forgiveness. Here is an some insightful information from the authors to help you become the leader that you were meant to be. I am a gardener—one who nurtures, tends, plants, cultivates, and harvests. I am a leader who inspires, creates, celebrates, encourages, and invests. Gardeners and leaders have many skills and talents and values in common. Great gardeners are full of hope. It is genuine and considered hope that is the essence of how I see myself as a gardener and a leader. This is a hope that is based in reverence for life in its deepest and most profound meaning. Some of my earliest memories of hope involve planting radish seeds as a small girl and waiting impatiently for them to sprout. I can still feel and smell the soil and relive the joy of the first shoots. In a similar manner, I can still visualize my first formal leadership role in my Brownie pack. The possibilities of making a difference, of helping others with their badges, of teaching them the rituals, of being there for them when they forgot their tams or scarves. Hope for the future was the essence of these early experiences. The lessons of the gardener inform me in the lessons of leadership. Sometimes, despite all the necessary prep of soil, nutrients, seed selection, etc., the seeds blow away, the plant withers, and the bugs attack or the bloom fades before it flowers. The ground is fallow for periods of time and only a few stalks blow in the wind. I prepare again, gather more information, and make selections, try different nutrients, check the weather, except that for me roses do not do well—concentrate on daisies. This is hope. Next time, the garden will be great, it will be different, and it will grow. My leadership is embedded in the hope of the gardener—learning to accept, to rethink, to reimagine, to redo, to undo, knowing that tomorrow is another opportunity full of possibilities and potential to discover and celebrate. I have loved every job I have ever had—some lasted longer than others. In some positions there was more to plant, more to nurture, and more learning to be had. I have chosen to change jobs based on my assessment of the possibilities for growth for myself and others. Much as a gardener decides their type of garden. All my life, I have been associated with some aspect of education, whether it be teaching pottery, swimming, or anthropology, or facilitating teams, or teaching others to teach and be leaders. For me, education is all about hope—for oneself, for others, and for a different world. It is the hope that sees me through to more possibilities and to uncovering the potential in others and providing me the opportunity to be a small part in realizing the possibility. Finding the seeds, nurturing their beginnings, tending the fragile shoots, staking their stems, and admiring their unique blooming beauty is the gift of hope and the reason to be. I will always be a gardener and revel in the possible, despite stormy weather, dry seasons, scattered seeds, and invasive pests. In leadership, I cherish the hope of the gardener, and this hope inspires my leadership and sees me through the tough times. The practice of hope in all the multiple tasks of leadership is the recognition that hope can be nurtured in the early stages when the outcome is not known; in the journey along the way, where already some things have floundered and some have grown; and in the final outcome, which might be different than planned. It is undertaking leadership in all of these places with the heart of the gardener that can help sustain hope as the rhythms of growth and loss and the seasons change. Dr. Jeanie Cockell and Dr. Joan McArthur-Blair, co-presidents of leadership consulting firmCockell McArthur-Blair Consulting, are the co-authors ofBuilding Resilience with Appreciative Inquiry. The veteran consultants’ latest book explores how leaders can use the practice of Appreciative Inquiry to weather the storms they'll inevitably encounter and be resilient. Leadership is an enigma. There are some that feel that they are strong leaders and have everything that it takes to be successful. Their teams don’t agree. Strong leaders know that they always need to work on their leadership skills and are open to learning about what they are missing or what blind spots that they have. 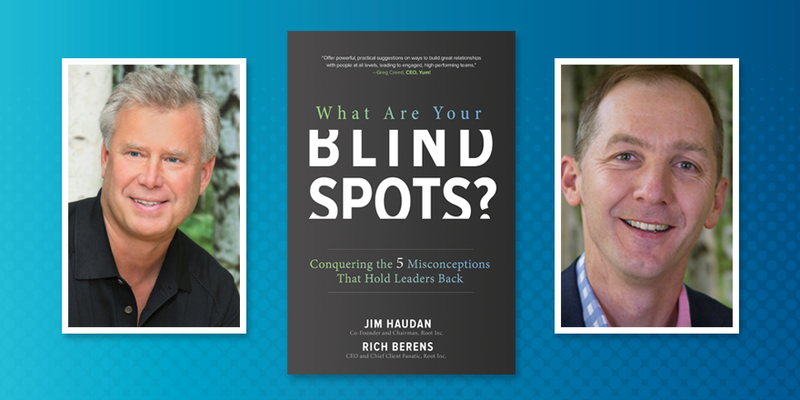 Here is a guest post from the new book What Are Your Blind Spots? Conquering the 5 Misconceptions that Hold Leaders Back. In order to activate purpose at your organization, your leaders must have conviction in that purpose while also being clear on their personal purpose at work. People generally have a desire to bring their best selves to work, but if you or they are not sure what that best self is, it’s hard to consistently bring it or know when and where to apply it. Great organizations don’t just have an organizational purpose, but they bring out personal purpose in individual people as well. •	Do I know what drives, motivates, and inspires the people working on my team? •	Do I know the core strengths and passions of my team? •	Do I know what each person’s personal best is and understand how to activate it? •	Do I know the personal purpose of the members of my team? •	Do I help individuals bring their purpose to life? •	Do I know how to connect people’s personal purposes to the larger purpose of my organization? Studies show that over 80 percent of Americans do not have their dream job. If more knew how to build organizations that inspire, we could live in a world in which that statistic was the reverse—a world in which over 80 percent of people loved their jobs. People who love going to work are more productive and more creative. They go home happier and have happier families. They treat their colleagues and clients and customers better. Inspired employees make for stronger companies and stronger economies. If you want to create an organization in which 80 percent of your people are excited to come to work and are vested in the success of the business, your people need to know and feel that you are fully vested in their success. They need to see how they connect to the purpose of the organization and how their contributions make a difference.